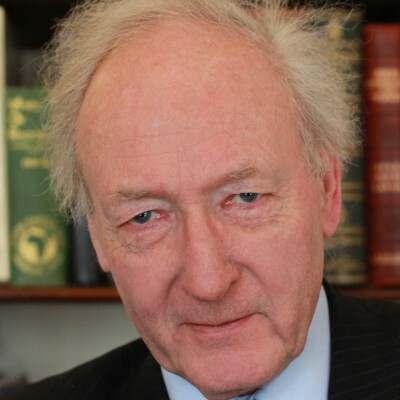 Algy Cluff was born in 1940. He served for six years in the Army in West Africa, Cyprus and Borneo. He was a Captain in the Grenadier Guards and the Guards Parachute Company and recently retired as Honorary Colonel of the 3rd Battalion of the Princess of Wales’s Royal Regiment. A pioneer of North Sea oil exploration, he founded Cluff Oil in 1972. This led to the discovery of the Buchan Field. There followed thirty years of exploration in the gold industry in Africa and the discovery and development of gold mines in Zimbabwe, Ghana, Burkina Faso and Tanzania. He remains active in the oil business. Algy was the proprietor of The Spectator for five years and its Chairman for a further twenty years. He was the proprietor of other magazines, including Apollo and the Literary Review. He is married to Blondel and they have three sons: Harry, Philip and Charlie. He has published two books, Get On With It a memoir in 2016 and his second book Unsung Heroes and a Few Villains in 2018.